New from JEM Glass, personal sized Glass Spoon Pipes with a substantial 1 1/4 in bowl and pink and turquoise over black line work. Length runs between 2.5 and 2.75 inches long and comes complete with colored dots and carb . 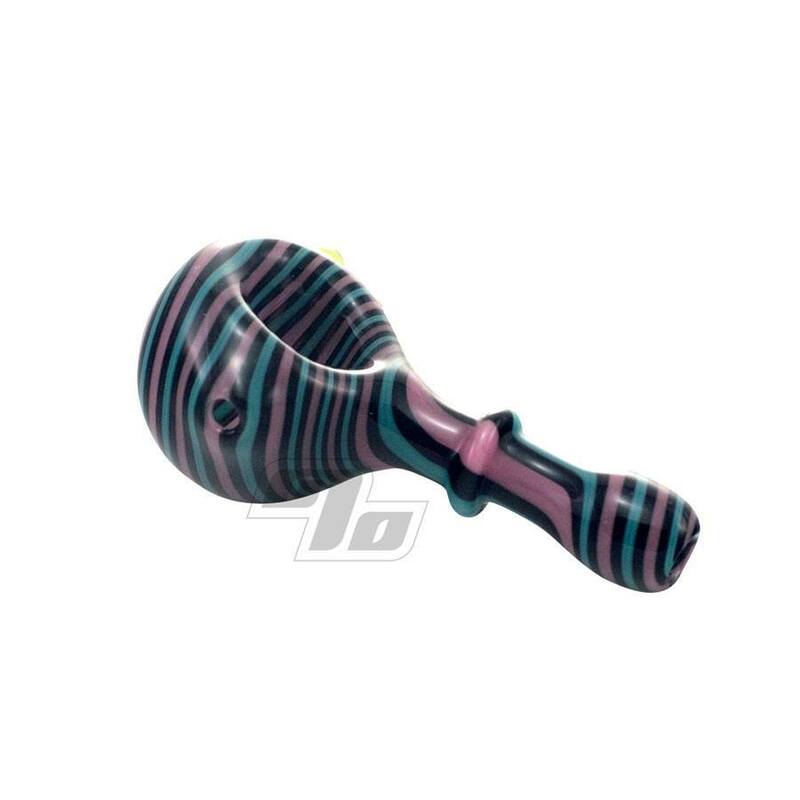 As each glass pipe is handblown and unique, they may vary slightly from the photo. Perfect size and interesting shape! High quality glasswork i always get compliments on it.. I broke my first one by accident so this is number 2! Would buy again! Always with the top notch products and good prices thanks 1percent! !